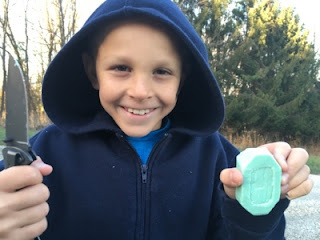 20151125 - Up L drove to Farm, hung out, boys played with the kitten, G&I did his soap whittling for his pocket knife carrying chip. 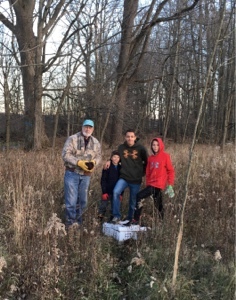 Roger showed up with 20 pheasants and the boys and I helped him let them out. It was G's first time and he did great. when it got dark all the boys came in and we headed out for dinner at Chinatown with Gma&paW. Back to the Farm and to bed exhausted.